They left Austin, TX, on June 4. 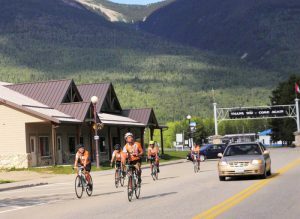 With an average of 75 miles a day, bikers crossed the continent from South to North – targeting Anchorage, Alaska as their final point. A journey of 4,000 miles over 70 days, through sun and rain, fields and mountains, the students have embarked on the longest annual charity bicycle ride in the world. This is the 13th Annual Ride Benefiting Cancer Research organized by a group of undergraduate and graduate students from the University of Texas at Austin. The travelers have different backgrounds – some study engineering, some geology or liberal arts — they are not directly involved in medical research. The funds they raise for cancer research, treatment and prevention, about $485,000, will be managed by a grant committee and probably go to prestigious institutions such as MD Anderson Cancer Center, University of Texas SW, or even Calgary’s Young Adults Cancer Center (YACC). 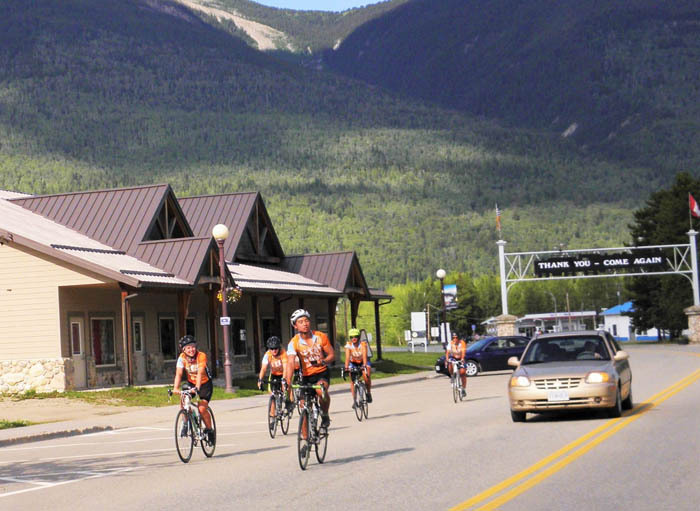 In Canada the three groups will reunite and ride the final 10 days together to Alaska. On each of the three routes the students will stop and present grants to various institutions involved in cancer treatment or research. So far, more than 600 students have made the trip from Austin to Anchorage, raising a total of more than $7M since 2003. Many students ride for a family member or friend who had battled cancer, or just to contribute in the fight against such a terrible disease. Texas 4000 is a non-profit organization dedicated to cultivating student leaders and engaging communities in fighting cancer. To contribute or learn more about the journey and events related to 2016 Texas 4000 team visit www.texas4000.org. 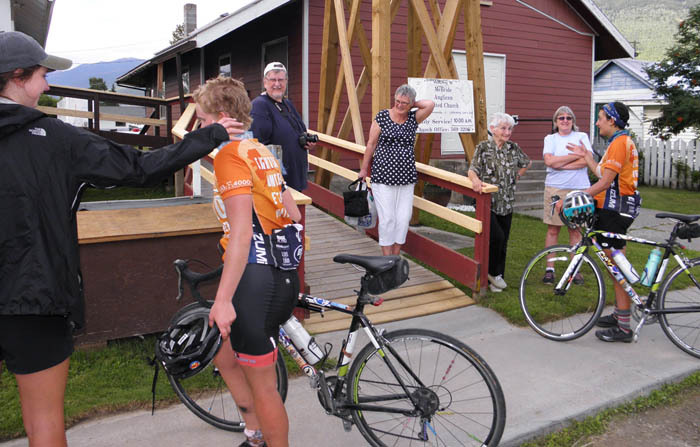 When the bikers arrived in McBride last Saturday, they were welcomed and hosted at the Anglican Church by a group lead by Eleanor Johnson and Leona Eyben, among others. A few local families offered shower facilities, meals and encouragement for the young travelers. Next day they hit the road again – we hope, with some good memories.